In these uncertain and frustrating post-election times, it's easy to feel overwhelmed, disregarded, and dispirited. As a result, it seems more important now than ever that those of us concerned for our futures have an outlet to be acknowledged and heard, but also that we find powerful voices which fortify our beliefs, strength, and fight. And one such voice has rang out powerfully from the band Fifth Harmony, with Lauren Jauregui penning an open letter to Donald Trump supporters, full of the sort of emboldening statements that will have you cheering as you read them. Published on Billboard, the detailed and impassioned letter addresses a broad spectrum of issues concerning Trump's upcoming presidency, and also directly vilifies the attitude of Trump supporters in "stagnating the progression" of America by wishing for a restoration of past times. Jauregui, who makes a point of describing herself as "a bisexual Cuban-American woman and ... proud of it" makes a series of eloquent points. 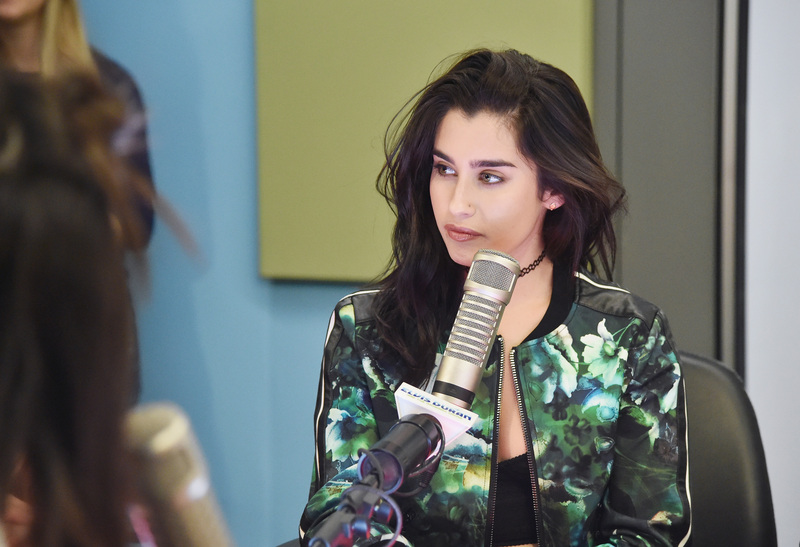 As well as explaining the point of what Trump supporters consider "political correctness" and why women, minorities, immigrants, and the LGBTQ community all deserve to still enjoy the full quota of human and civil rights they've spent hundreds of years fighting for, Jauregui isn't shy in making her voice and her points heard. Though I highly recommend that you read the letter in its entirety, here are 13 of the most important statements from it. And I hope you're standing up for this and ready to scream, "Yes, nailed it" at your screen every few seconds, because damn, is it powerful stuff. This is a crucial point to make and also provides the perfect set-up for the words which follow. One of the most divisive and contentious parts of Trump's presidential victory has been the commentary between his supporters, and those who oppose him, on the implications of his actions and language throughout his election campaign. Restoring the America-that-was is only stagnating the progression of our consciousness. You voted for a person who built an 18-month campaign off the back of your hatred. For those of us utterly dependent on a thriving, progressive, and inclusive society, the very notion of "regressing" back to some former state of the country was immediately alarming. He manipulated ALL of you with such ease by speaking to the darker parts of you that had started to feel ashamed about the way you viewed the "politically correct" world. He became your champion, because he spoke to the parts of you that think you are superior to the rest of us (just like Hitler did in Germany before the Holocaust! Just read his autobiography: Mein Kampf). There's been many critics, historians, and academics online who have raised similarly concerned connections between Trump and Hitler's rises to power. This politically correct world we've created, which is really just a world with social etiquette, where we have weeded out the language of racism and explained why, where we have established feminism as a growing notion of making women realize their validity and right to be treated as the full complex beings they are and men the same ... where we have had to create numerous labels to help queer people who didn't fit the cis heterosexual mold feel valid and identified in a world where narrow-minded consciousness has made them feel invalid and invisible for so long. That's the "politically correct" behavior you wanna get rid of? You wanna restore America to a world where the human beings around you feel scared to be themselves and live and love freely? Absolutely nailed it. By encouraging the development of a society in which a person's right to protection against hateful language and behavior is seen as ludicrous, this makes the targets of those acts feel completely invalid and worthless. It's pretty simple, really. The ONLY reason is your inability to accept the growing world around you. You chose hatred. Your heart chose to separate yourself as a superior when the only superior in existence in this entire universe is SO much greater than you. Prior to this statement, Jauregui talks about how very un-Christian much of the behavior of Trump's campaign, candidacy, and that of his supporters has been. Our "political correctness" that your champion, Donald Trump, so pointedly disregarded throughout his entire campaign and now with the appointment of his advisors and other government officials, is the language we have worked tirelessly to establish to feel safe in a world that never stops reminding us we are minorities. This is so powerful and so sadly true. I am a bisexual Cuban-American woman and I am so proud of it. I am proud to be part of a community that only projects love and education and the support of one another. This perfect point raises an idea which is always relevant and worth reminding each other of — that love, support, compassion, and education ultimately always prevails. That's what communities of all sizes and types thrive from. I am proud to feel the whole spectrum of my feelings and I will gladly take the label of "b*tch" and "problematic" for speaking my mind the same way any man would be admired and respected for doing. But, I will also extend the fullest hand of compassion and empathy for anyone labeling me as such. I know there's plenty of women reading this right now who can completely relate to this statement. And all of us all also happen to know this important truth — "difficult" women make things happen. But Jauregui also comes back to the idea of offering "compassion," rather than hate, to those who fail to understand or denigrate her for being outspoken. And I have so much applause for that, it's unreal. I was born with a lighter complexion ... I have experienced the privilege those genes have granted me, and I am grateful and will continue to speak on behalf of the women around the world and in our very own country who do not experience a fraction of that respect because of the color of their skin or what they choose to wear, or how their hair looks, or how much makeup they have on or any other absurdity that we women are reduced to. This is always a valid point, for those who can do it, to remember. We have failed ourselves as a nation. We are the example for the world, and we have failed our fellow humans who were watching us with hope that we would not allow hatred to prevail. For instance, there's been reports of a rise in hate crimes in the United Kingdom, France, Spain, and Germany, and being the influential country that is, Jauregui's point feels even more poignant. Realize that your white skin is the result of immigration from Europe, that the only true "Americans" are Native Americans, who are indigenous people that inhabited this land before these conquerors from other countries (England, France, Italy, Spain) wiped them out almost entirely. None of us belong here but all of us deserve the right to feel safe and live our lives in peace. This is the part of the open letter that I actually pulled a Tom Cruise on Oprah and jumped up and down on my couch in gratitude. It is everything. This is the world Trump is fostering. This is the division that has risen since the beginning of the campaign. We are not America indivisible any longer, we are united on two separate sides; Love and Hatred. And the point Jauregui is making here is surely that a difference in political opinion is fine, but to support one which is so thoroughly threatening against so many people definitely is not. We are not "whining" about our presidential choice losing, we are screaming battle cries against those whose political and personal agendas threaten our lives and sanity. We are making sure you hear us, no matter how much it bothers you, we EXIST. This is the statement on which Jauregui ends her open letter, and it's definitely one for anyone feeling disenfranchised right now to draw strength from. I mean, I loved Fifth Harmony before, but now I'm well and truly besotted. Jauregui's letter has completely blown me away for how intelligent, informed, and impassioned it reads, and she's exactly the sort of pop cultural voice that we all need to hear right now. All power to you, lady.